Decorate your home or send this artificial wreath to a loved one this holiday season. 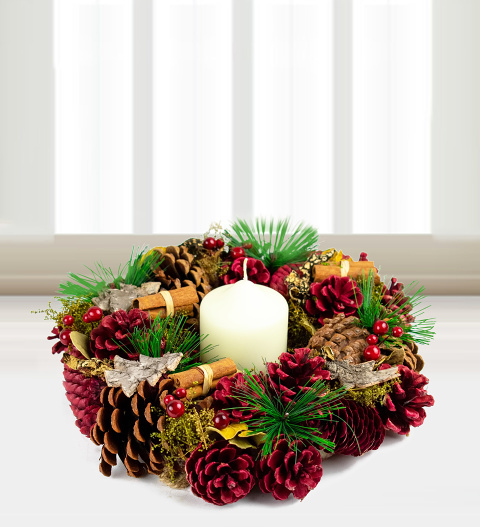 Not only can they enjoy this artificial wreath and candle this Christmas, but they can also reuse it year after year! Perfect as a table centre piece! This is a great gift perfect for anyone this holiday season.